Bleeding gums, redness, and swelling of gums may be the early signs of gum infection or gingivitis. Also known as periodontal disease, it’s a serious infection that not only endangers the soft tissue in the mouth but can directly attack the jaw bone. 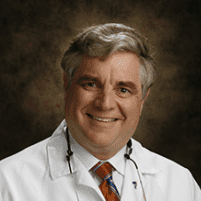 If you live in or near Hellertown, Pennsylvania, seek a consultation with Dr. Woodruff at his dental office, S. Clarke Woodruff, DMD. Dr. Woodruff along with his team can help you stop the spread of infection and recover from its effect. Call or click to schedule a consultation today. Gum disease is inflammation of the gum line, and if left untreated, it progresses to affect the supporting jaw bones. The three stages of gum disease according to increasing severity are gingivitis, periodontitis, and advanced periodontitis. According to the CDC, 64.7 million Americans suffer from gum disease, but many are not aware of it. The primary cause of gum disease is poor dental hygiene, which results in the formation of bacterial plaque, the sticky film that continuously forms around our teeth and gum line. The bacteria in the plaque advance beneath the gum tissue to cause red, tender gums that bleed when you floss. Over time, the plaque hardens to form dental calculus, known as tartar. Other less common causes include genetics, smoking, advancing age, and underlying diseases like diabetes or heart disease. How do you know you have gum disease? What is the conventional treatment for gum disease? Scaling helps removes removal of bacterial plaque and tartar from the root surfaces by using hand, sonic, or ultrasonic instruments. Dr. Woodruff also prescribes antibiotics after the procedure to control any remaining infection. Pocket reduction surgery is an efficient way to restore oral health after the treatment of gingivitis. Dr. Woodruff gently separates the gum from the tooth and removes the plaque and tartar using special ultrasonic and hand instruments. He then leaves an antimicrobial liquid in the area to destroy bacteria colonies and bring about natural healing. In some cases, the natural teeth are partly covered by gum tissue because of gingivitis. Dr. Woodruff removes the excess gum tissue to expose more of your tooth and reshape the gum outline. A gum lift is also used to get adequate tooth surface for restorative procedures. To know more about ways to prevent and treat gum disease, call or schedule an appointment with Dr.Woodruff today.